Mewtwo does not evolve/is not evolved into. X It was created by a scientist after years of horrific gene-splicing and DNA-engineering experiments. X Fue creado por un científico tras años de horribles experimentos de ingeniería genética. X Creato da uno scienziato dopo anni di orribili esperimenti di ingegneria genetica. X 한 과학자가 몇 년에 걸쳐 무서운 유전자의 연구를 계속한 결과 탄생했다. Y A Pokémon created by recombining Mew’s genes. It’s said to have the most savage heart among Pokémon. Y Un Pokémon conçu en réorganisant les gènes de Mew. On raconte qu’il s’agit du Pokémon le plus féroce. Y Pokémon creado por recombinación genética de Mew. Se dice que es el más salvaje de los Pokémon. Y Un Pokémon creato usando i geni di Mew. Si dice che fra i Pokémon sia quello con l’animo più crudele. Y 뮤의 유전자를 재구성해서 만들어졌다. 포켓몬 중에서 가장 난폭한 마음을 가지고 있다고 한다. Omega Ruby Mewtwo is a Pokémon that was created by genetic manipulation. However, even though the scientific power of humans created this Pokémon’s body, they failed to endow Mewtwo with a compassionate heart. Omega Ruby Mewtu ist ein Pokémon, das durch Genmanipulation entstanden ist. Die Menschen haben es zwar mit ihrem wissenschaftlichen Sachverstand erzeugt, aber nicht mit einem mitfühlenden Herzen ausgestattet. Omega Ruby Mewtwo est un Pokémon créé par manipulation génétique. Cependant, bien que les connaissances scientifiques des humains aient réussi à créer son corps, elles n’ont pas pu doter Mewtwo d’un cœur sensible. Omega Ruby Mewtwo fue creado por manipulación genética. Pero, a pesar de que el hombre creó su cuerpo, dotar a Mewtwo de un corazón compasivo quedó en el olvido. Omega Ruby Mewtwo è stato creato grazie a una manipolazione genetica. Tuttavia, sebbene la scienza sia riuscita a creare un corpo di Pokémon, ha fallito nell’intento di dare a Mewtwo un animo generoso. Omega Ruby 유전자조작을 통해 만들어진 포켓몬이다. 인간은 과학의 힘으로 몸은 만들었지만 상냥한 마음을 만들 수는 없었다. 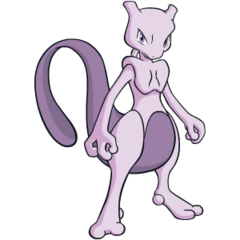 Alpha Sapphire Mewtwo is a Pokémon that was created by genetic manipulation. However, even though the scientific power of humans created this Pokémon’s body, they failed to endow Mewtwo with a compassionate heart. Alpha Sapphire Mewtu ist ein Pokémon, das durch Genmanipulation entstanden ist. Die Menschen haben es zwar mit ihrem wissenschaftlichen Sachverstand erzeugt, aber nicht mit einem mitfühlenden Herzen ausgestattet. Alpha Sapphire Mewtwo est un Pokémon créé par manipulation génétique. Cependant, bien que les connaissances scientifiques des humains aient réussi à créer son corps, elles n’ont pas pu doter Mewtwo d’un cœur sensible. 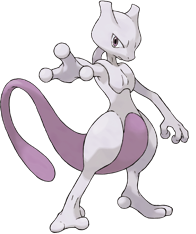 Alpha Sapphire Mewtwo fue creado por manipulación genética. Pero, a pesar de que el hombre creó su cuerpo, dotar a Mewtwo de un corazón compasivo quedó en el olvido. Alpha Sapphire Mewtwo è stato creato grazie a una manipolazione genetica. Tuttavia, sebbene la scienza sia riuscita a creare un corpo di Pokémon, ha fallito nell’intento di dare a Mewtwo un animo generoso. Alpha Sapphire 유전자조작을 통해 만들어진 포켓몬이다. 인간은 과학의 힘으로 몸은 만들었지만 상냥한 마음을 만들 수는 없었다. Red It was created by a scientist afters years of horrific gene splicing and DNA engineering experiments. Blue It was created by a scientist afters years of horrific gene splicing and DNA engineering experiments. Yellow Its DNA is almost the same as Mew's. However, its size and disposition are vastly different. Stadium A vicious psychic Pokémon created by genetic engineering. Its cold glowing eyes strike fear into the hearts of its enemies . Gold Because its battle abilities were raised to the ultimate level, it thinks only of defeating its foes. Silver It usually remains motionless to conserve energy, so that it may unleash its full power in battle. Stadium2 Because its battle abilities were raised to the ultimate level, it thinks only of defeating its foes. Ruby Mewtwo is a Pokemon that was created by genetic manipulation. However, even though the scientific power of humans created this Pokemon's body, they failed to endow Mewtwo with a compassionate heart. Sapphire MEWTWO is a POKeMON that was created by genetic manipulation. However, even though the scientific power of humans created this POKeMON's body, they failed to endow MEWTWO with a compassionate heart. Emerald A POKeMON that was created by genetic manipulation. However, even though the scientific power of humans made its body, they failed to give it a warm heart. Diamond A Pokémon created by recombining MEW's genes. It's said to have the most savage heart among Pokémon. Pearl A Pokémon created by recombining MEW's genes. It's said to have the most savage heart among Pokémon. Platinum A Pokemon created by recombining Mew's genes. It's said to have the most savage heart among Pokémon. Black A Pokémon created by recombining Mew's genes. It's said to have the most savage heart among Pokémon. White A Pokémon created by recombining Mew's genes. It's said to have the most savage heart among Pokémon. Black 2 A Pokémon created by recombining Mew’s genes. It’s said to have the most savage heart among Pokémon. White 2 A Pokémon created by recombining Mew’s genes. It’s said to have the most savage heart among Pokémon.